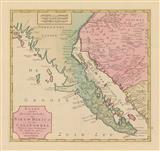 Description: Baja California and contiguous Mexico from the information of Fra. Eusebio Kino, a Jesuit Missionary credited with ending the California as an Island myth. 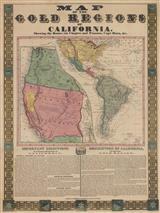 Description: Early California map. Very good dark impression. Description: The most decorative of the Eusebio Kino California maps with beautiful figurative borders. Based on contemporary Jesuit sources. 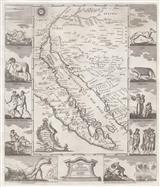 Description: Lower California and the Baja Peninsula as far north as San Diego by Isaac Tirion, a Dutch mapmaker and bookseller. Jesuit missions and outposts are prominently marked on the map. Bright original hand-colour. 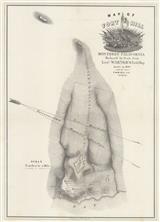 Description: California and the North West Passage. Coloured. 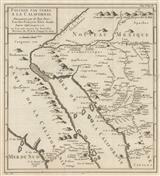 Description: Late French rendition of the important map by Eusebio Kino (1645-1711) showing that California is part of the mainland from the Atondo Expedition (1683–1685) with Spanish Admiral Isidro de Atondo y Antillón (1639-85). Description: Fort Hill, Monterey. 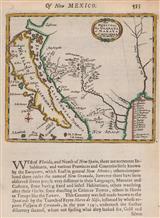 From a government report describing gold discoveries in California. 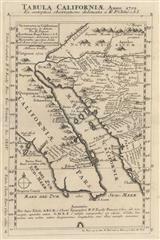 Title: : Map of the Gold Regions of California Showing the Routes via Chagres and Panama, Cape Horn, &c.